2 Bedroom Semi Detached Bungalow For Sale in Nantwich for Asking Price £200,000. No Chain. True Bungalow. 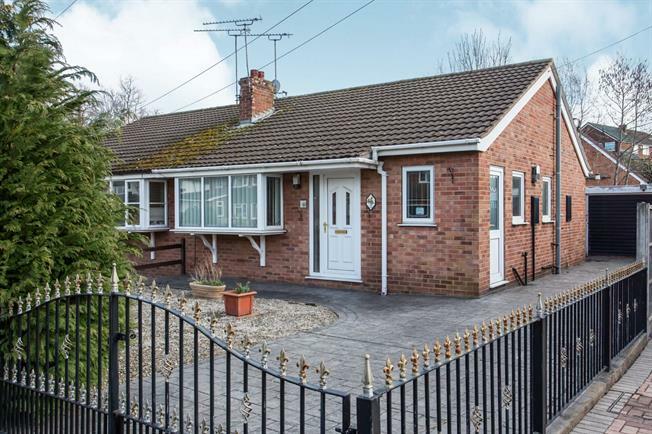 Looking for a cosy bungalow close to Nantwich town centre? Something you can put your own stamp on? Look no further, this is it! This lovely home benefits from hallway, kitchen, lounge with lovely fireplace, two double bedrooms,, one with patio doors to the rear, one with fitted mirrored wardrobes and bathroom. Externally there is a good sized driveway with imprinted concrete, garage and low maintenance front and rear gardens. Pretty railings to the street. Gas central heating, fully double glazed uPvc. Freehold tenure. Be quick!